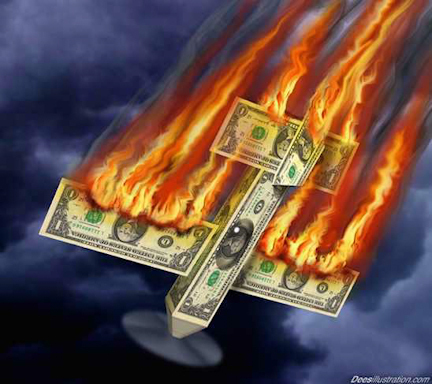 EU aircraft carbon emissions tax crashes and burns | Watts Up With That? The European Union has agreed to suspend its rules that require airlines flying to and from airports in the EU to pay for their carbon emissions. The rules had been unpopular with countries outside Europe such as the US, China and India. Climate commissioner Connie Hedegaard said she had proposed “stopping the clock for one year”. She said the suspension was due to progress being made in negotiations on a global emissions deal. But she added that if the International Civil Aviation Organization (ICAO) did not make progress towards a global deal by this time next year the European tax would be reintroduced. The EU brought in the Emissions Trading Scheme on 1 January. India and China have been among the most vocal opponents of the ETS, with India banning its airlines from complying with it in April. The European Commission’s recommendation came after last Friday’s general meeting of the ICAO, which agreed to move towards a market-based mechanism for emissions trading. The commission said it had only introduced its own trading scheme because it had “waited for many years for ICAO to progress”. “Nobody wants an international framework framework tackling CO2-emissions from aviation more than we do,” Ms Hedegaard said. I wonder if she realizes that she accidentally stated the absolute, literal truth of the matter. That’s right, NOBODY. The Law of Unintended Consequences rears its ugly head, again. They never learn, do they? I bet the BBC had to report that through gritted teeth. It does not approve of mere mortals like us going on holiday or doing business overseas. Sounds like a real good reason to let the EU crash and burn aka going Galt. “Nobody wants an international framework tackling CO2-emissions from aviation more than we do,” Ms Hedegaard said. I can’t write – I’m too damned angry……..one day all the EU politicians will be against the wall I hope – as I am sure there will be many millions of ordinary EU citizens lining up to ‘pay’ their respects! I still await the airline trade war that will ensue on this if the EU reinstates. Perhaps China will charge European airlines landing in China a hefty Carbon balancing tax to feed back into their state airlines to counteract the idiocy or increase landing fees dramatically for EU origin airlines. Or maybe they will simply stop issuing travel visas to EU citizens, thus killing any European leverage into Chinese markets. Only bad things can come from unilateral diktats on foreign controlled entities. The failure of this tax is a case study in why China and OPEC wants the USA to unilaterally impose a carbon tax on itself, thus destroying its energy production and moving all of its industry overseas. Many do not realize that OPEC, particularly our friends the Saudis, contribute a great deal of money to American ‘environmental’ groups. Ms Hedegaard is full of ‘threats’. They are empty and shallow as she has no power whatsoever to impose taxes on other nation states. It will never happen. What we need now though is the public and permanent abandonment of the scheme to restore confidence in the airline industry, both manufacturing and passenger. The thing that needs to crash & burn is her job, the complete EU environmental department, in fact the whole EU. It’s a huge waste of MY money, and was a huge threat itself to my son’s future job prospects – he’s at uni studying Aerospace Engineering, an industry severely threatened by her mad ETS scheme. oh what delicious, simply delicious irony. When will people see that a carbon tax doesn’t reduce carbon emissions. A tax would work if there really were alternative energy sources with the same energy return on energy invested. With airlines there is no alternative at all, so they just pay the tax and burn the carbon. Taxes just add a distortion to the market. If taxes could save the planet and create utopia for the human race we would already be there. If you reduce the demand for carbon it gets even cheaper. China will buy it, burn it and sell us the products our taxes wouldn’t allow us to make. It’s silly. Even worst when you consider that the effect of CO2 on the climate is mostly exaggerated. It is also two fingers up to BBC’s Richard Black, who’s more biased towards climate change than Dracula in a blood bank. Sorry Richard old boy, you’ve lost this one, and it won’t be the last, the beginning of the end of your alamism and unprofessional advocacy has begun. The mess at the BBC is no doubt going to shed some unfavourable light on its and his activities relating to global warming reporting, and I re-use Judith Curry’s phrase in relation to Mike Mann’s latest ‘baby cry’ libel case, “that I fear the outcome will not bode well for him”. I would suggest he follows the course of action that several have made already, to jump before being pushed (or is that lynched?). No, Connie, nobody wants an international framework framework tackling CO2-emissions period. Must book a ticket to visit Europe one last time before I expire before it all looks like the Coliseum in Rome. Sad when people stand smiling with their backs to a cliff and don’t realize what one step backwards will do. There is almost nothing as heart warming as seeing an EU commissioner having to eat humble pie. Dogma, not pragmatism, is the usual stance of these unelected super-bureaucrats. The EU has a history of trying things again and again until they get the result they want. It’s a post-democratic bureaucracy. I have worked and traveled to Europe many times both by ship and airplane. I always have enjoyed my trips because I like museums and I realize that Europe is a gigantic museum from the Baltic to Sicily. The carbon tax was just another attempt to increase the price of the museum entrance ticket. Why does she not say that the tax will be reintroduced if HadCRUT3 looks like it will finally break the 1998 record? Is it not global warming that this is all about? What? The BBC isn’t the impartial pedastal of broadcasting it was supposed to be! How dare you suggest such things, Sir! /seriously serious sarc! Great! It is nice to get a bit of good news on this front for a change. What is that cracking sound I hear? Let them demand their tax, but have the governments order the airlines to to pay. Then if EU bans those airlines treat it as an antitrust issue to impose huge penalties on flights by european airlines and disallow EU airlines on domestic flights. Tourism will plummet, hitting the worst off EU states (Greece, Italy, Spain, Ireland, etc. ), which depend the most on tourism, hardest. Of course the EU knows this can happen, that is why this is all political theatre to be endlessly delayed for one reason or another. Can you add a note that the doubled word comes from the BBC piece? It’s not in the linked EU press release, and it should be made clear it’s a BBC error, not a WUWT error. ‘another form of taxation that we, unelected bureaucrats, can spend as we wish – or pet projects, some of which are not linked to me by blood or marriage; others arre not linked to him by blood or marriage’? Or am I being slightly realistic [shorthand for cynical]? As a true scientist should, I let evidence correct me. I stand corrected. Thank you. The clock stopped (working) in Europe a long time ago. Can’t even reproduce enough to maintain it. Ms Hedegaard is a classic EU commissioner , in that she combines incompetence , corruption and with a strong desire to build a personal empire. So it hardly a surprise to find this idea has come unstuck , especial has the USA and China had made it very clear they no intention at all to play ball with it. On the day this idea original came out Hedagaard was in China on one of the many ‘visits ‘ ‘meetings ‘ ‘events’ and ‘conferences’ which means she racks up in a year the type of air-miles must people don’t manage in lifetime . But there two things to bare in mind , one its ‘different ‘ when they do it , two their not paying for anything themselves for EU commissioner gravy is some of richest you can get. With 6 figurer pay , vast expenses, ability to hire family member’s has staff and a pension that is not only gold plated but diamond studded. And best of all they pay NO TAX on their income . So you can see why she is not to concern about added a tax on to airfares the money from which would undoubtedly by pee away in manner that the EU is very good at . Dead for now , but with EU if the person pushing if looking to use it has a ‘legacy’ idea such ideas do have a habit of coming back no matter how little sense they make or if they reflect reality . Temporary relief only I fear. Experience is that EU bureaucrats never learn and never give up. They KNOW they are right, and enjoy huge salaries and perks from our taxes as they manouver around until we peasants find they have imposed their wishes. (And yes, I am fed up with the EU.) 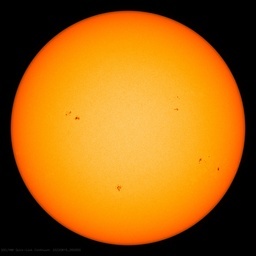 Maybe a sudden cooling – snow and ice and such – will divert them, and if the sun stays quiet, who knows? May happen. At this stage, the EU is desperate for a way out of this self-imposed crisis and, unless all sanity has fled, they’ll grab the opportunity with both hands to suspend the new regulations and lob the problem over to the ICAO. But it’s not as big a deal as what it looks on the surface. There’s no waiving of taxes due to be paid in April 2013 for flights in 2012. Just a shifting of when they will be due. And no doubt; they’ll also then be asking for taxes on flights taken during 2013. Unless the whole thing is overturned in e.g. WTO (UN – unlikely; they no longer protect sovereign rights of any nation) or Brussels is hermetically sealed into their own fantasy world. Not that it’ll bother the Eurocrats. They’re in for pensions of about $8000/month. I wonder if the 12-year-olds pretending to be an adults will be able to cope with so little. Australia and all other nations should abandon the EU UN agreements. Their latest attempts are to control the internet and what and who and how u get information and communicate. Start again but with an Asian led organisation, they dont fool around with sill pranks and useless irrelevant irritant concepts like carbon pricing. Reduce pollution yes but not thru raising taxs. If the Euro keeps going in the direction it is (and it will because of the mismanagement of the economies) any tax in Euros will be so inconsequential in a years time that no one will care. Seems fine to me. You only pay for carbon credits if you fly in Europe airspace. So DON’T fly in Europe air space. There; problem fixed. Well, Ms Hedegaard, why not set a limit on how much any 1 person can fly in a year and stick to it? No exceptions for politicians and bureaucrats. Once you have reached your CO2 limit, no more flying until next year. Forget about cap and trade, that doesn’t work. The rich simply buy permits to pollute from the poor, and the total pollution remains unchanged. And forget about using work as an excuse. With teleconferencing there is no reason for rich and powerful people to fly more than anyone else – polluting the word, while telling the rest of us how nobel they are. How about we all simply take the hypocrite oath that we will not fly any further that Ms Hedegaard flies each year? Lead by example Ms Hedegaard. Stop flying, just like the other 6 billion people on the planet that don’t fly in a year. Connie Hedegaard holds an MA in Literature and History….Her most recent important assignment has been preparing and hosting the United Nations Climate Change Conference 2009 in Copenhagen. Another “climate expert” telling us how to control the world’s climate. Or should we say a pseudo expert telling us how we should tax the poor to give to rich. Reverse Robin Hood. Curious that they waited until after the meeting last Friday. Perhaps there was a thought that a second term US President may shift position? How very disappointing it must be that he did not. Sorry, I just could not resist this. Here is Richard Black, former BBC climate commissar, crowing about the success of the airline carbon tax. ilma630–I think Black has departed the BBC but Harrabin is in full flow. He is Environmental Correspondent and this morning was introduced on R4 News as Energy Correspondent. He displayed as much ignorance on energy as he does on the environment. At this stage, the EU is desperate for a way out of this self-imposed crisis and, unless all sanity has fled. There was never any sanity to start with. No-one in europe wanted the EU except the politicians who were going to get their massive salaries and pensions. There will be no tax outside the EU. This tax is for internal EU flights, and will remain that way. This has already led to EU airlines such as RyanAir declaring that they are now at a disadvantage to non-EU airlines and calling for the tax to be scrapped. As for imposing the tax on non-EU airlines, there will be no talks for at least a year and there is precious little prospect of the Chinese agreeing to any such tax being imposed on them by the EU in the future. Maybe, but Harrabin is still there spreading his activist poison. This is the sad world we live in today. Some multimillionaire-billionaire communist leaders in China have to threaten Aibus publicly with massive order cancelations and private threats on new orders to stop the determined madness of some EU socialist pigs out to dominate large jet sales with subsidized and bribed state-run jet sales. At least it helps to understand hopelessness in past eras of human history. A lot of those eras have come out of extremism in Europe as I recall. Collectively the taxes on flying are substantial. Where once one could hope to find some cheap flights for as low as £5 on budget airlines within Europe (but you have to be very very clever to find these flights) the minimums listed are now much higher and even more impossible to find. A reason to reconsider is economic. Countries like Greece, one of the PIIGS and in severe financial difficulties, is heavily dependent on tourism and will need to rely on tourism for its recovery, if at all possible. The sad truth is that these and other taxes have killed off a great deal of the low cost internal flights (and a lot of Greece is islands which contribute a disproportionate amount to the economy) and especially in the winter months. From France to the World : THANK YOU! Thank you the USA, India and China! You have been able to do what we in Europe have been trying to do for years – put a halt to Euroinsanity. Don’t worry about it being reintroduced in a year – none of these clowns will be around by then. When the Euro collapses they will vanish like the morning mist. I did an interesting calculation to see what the impact of the EU aircraft ETS would be on the global temperature. According to http://tinyurl.com/5w99jy, there is a total of ~ 3×10*12 (3 trillion) tonnes of CO2 in earth’s atmosphere. The EU ETS wanted to reduce aircraft emissions from a “baseline” of 2.19×10*8 (219 billion) tonnes of CO2 down to 2.08×10*8 tonnes by 2013 (http://tinyurl.com/aagy36v). If doubling the amount of CO2 in the atmosphere increases the global temperature by ~ 1.2C, that’s a “sensitivity” of ~ 4×10*-13 C/tonne (0.4 pico C/tonne). The EU’s desired reduction of 1.05×10*7 tonnes would result in **Gasp** 4.2×10*-6 C (4.2 microdegrees) less warming!! !